Another reason why I thought of Paris all day the other day was the crepe that I had for lunch. 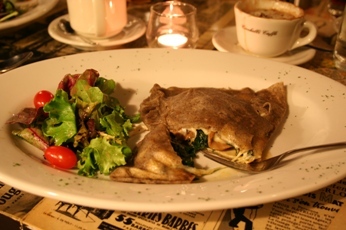 My crepe had roasted turkey, spinach, mushroom, and Fontina cheese. It was pretty good. 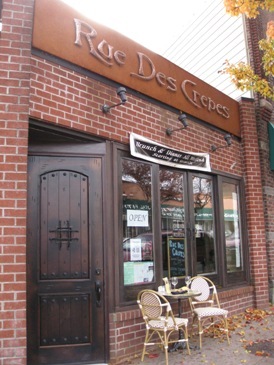 When I had a mouthful of crepe with a hot chocolate chaser, I felt as if I were sitting at a cafe somewhere in Paris. I got together with my Japanese friends who I had met at JB's preschool last year. What a lovely time we had together just trying to catch up with each other's lives! Thank you for making the time for our lunch gathering. I had a fantastic time. We must do it again sometime soon!